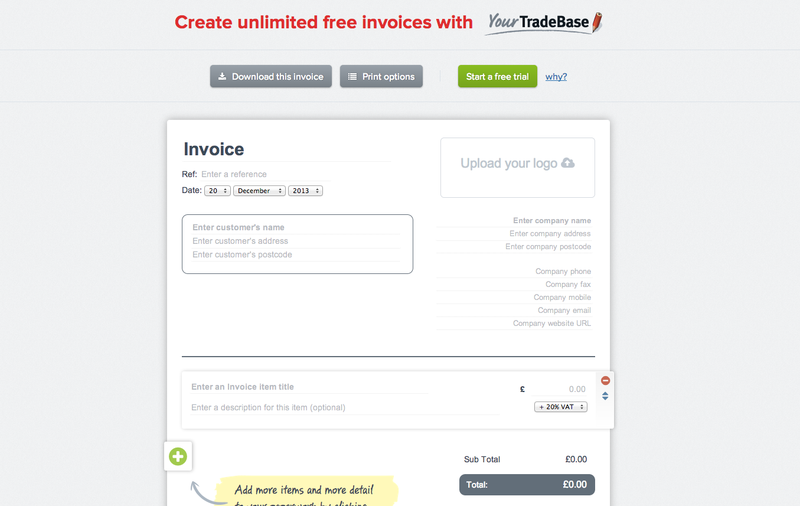 We’re pleased to announce that our new FREE invoice tool is now LIVE! Well it means without even having to sign up to our free trial you can create, download, and print invoices for absolutely free! There is none! We just wanted to show off our service and make it easier for you guys to create paperwork. You don’t have to fill anything in, sign up, give us your name or your first born. It really is that simple. You simple fill it in as you would any invoice you have sat in front of you. You can edit, change, and move about information, put in your own logo, add your own unique invoice number too. Can I print it off afterwards? Yes, you can download and print the invoice to your computer. But once you leave the page it will not be saved by us – but if you want somewhere to save it, you can always sign up for a free trial with us too. Just click here for free invoicing to try it out!